Emaar Properties successfully completed advanced wind tunnel tests for the new tower in Dubai Creek Harbour in 2016. The tests determined the structural strength and durability of the building. 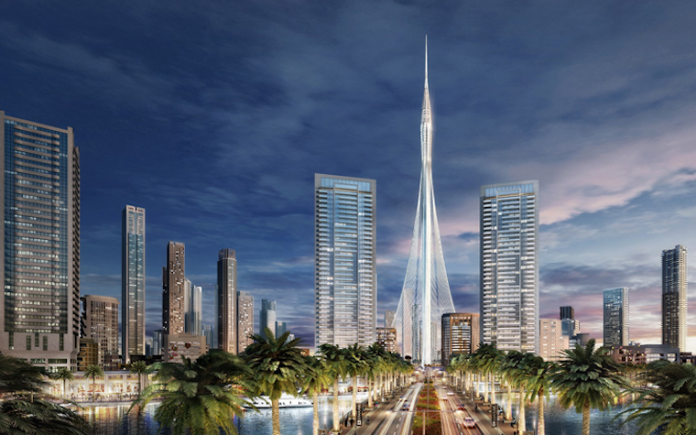 The Tower, designed by Spanish-Swiss architect Santiago Calatrava Valls, will be in the heart of the 2.3 square mile master-planned community set by the historic Dubai Creek. Emaar Properties had commissioned the wind tunnel tests due to the wind’s factor as a major challenge in high-rise developments. The challenge especially occurs at high altitudes, and the tests help define the building’s final height and design aspects. Previous articleWho Is Trump’s New Year’s Eve Guest And Billionaire Pal From Dubai?